There are several ways for potential clients to test the various Produce & Publish components without obligation. 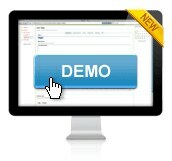 The easiest way to try out our XML Director solution is by visiting the demo site demo.xml-director.info. 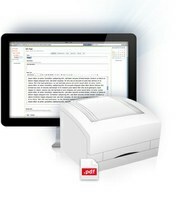 You can test the authoring environment for free and without obligation at demo.produce-and-publish.com. The conversion server is available for as an open-source component for free download and comes custom installation-ready. For developers, we have detailed in a blog entry how to easily and simply install and test the conversion server - including demo versions of all PDF converters - in a local Linux or MacOSX environment. Experience tells us that there are currently no solutions in the field of electronic publishing which accomplish the fulfillment of all client wishes and requirements with regard to the final product. In our Produce & Publish projects, we therefore place a focus on comprehensive analysis and research. During a free initial consultation, we get a feel for where your problems lie and can generally advise you early on about whether or not our platform could be of assistance. We have highly accurate knowledge of the converters upon which the process is built and are therefore well-placed to evaluate whether or not a project can be satisfactorily brought to completion with the tools available. Your contact person is CEO and head developer Andreas Jung. Mr. Jung will be happy to advise you without obligation.